Happy new year to all readers of Bruce's Journal. Thanks for stopping by if you are a regular reader or if you just find this site by accident. I am approaching 2700 entries in the 9+ years since I started this journal. I will certainly continue writing posts in 2015. It is getting harder to think up new ideas as I don't want to rehash the same topics. Even though I don't have to get up so early to start out on my miserable commute to work, I still get up at the same time anyway. I guess my biological clock doesn't know I don't have to go to work. It is nice not to have to ride the subways or New Jersey Transit and encounter delays. 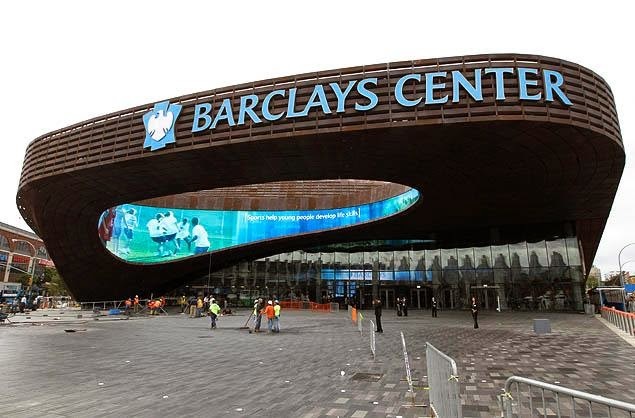 We took the trains to the Barclays Center on Sunday, but thankfully there were no problems. Thankfully the weather has been decent for the end of December. In other years there was extremely cold weather, show or both. ABC is telecasting NBA games from 2 PM - 8 PM today so all of my favorite game shows are pre-empted. Oh well. I think we are going to see the movie Unbroken which begins at 12 noon. We will miss the Knicks who will be seen of the MSG network. The stinking Knicks are 5-25. The campus community is still excited over the upset win a few weeks ago against #17 ranked Michigan. Today the Highlanders went to Philadelphia to play the undefeated and #7 ranked Villanova Wildcats. Could lightning strike twice in the same season? The Highlanders were quite competitive as they took a 44-41 lead at halftime. The TV commentator even said the score was surprising. Early in the second half the Highlanders actually had at 7 point lead as I could sense another possible upset. At that point Villanova went on a 20-3 run and pulled ahead. The game was on Fox Sports1 as I saw Athletic Director Lenny Kaplan in the stands. My hope is that NJIT can get into a conference for the 2015-16 season. 99.999% of the time police officers act honorably. 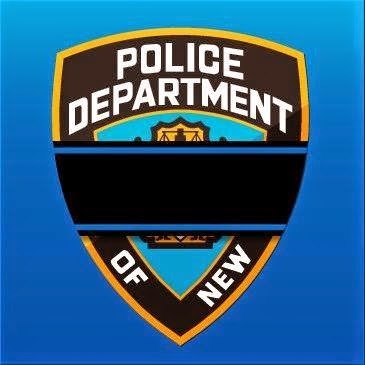 My condolences to the families of the two slain officers. A couple of times a season Karen and Lee meet me in Newark to take in a New Jersey Devils game. The home team took an early 2-0 lead and was able to hold that lead until 40 seconds left in the third period when Nikita Kucherov scored for the Lightning. There were no goals scored in the five minute overtime as the game went to a shoot out. Patrik Elias scored the only goal in the shootout as the Devils won the game. Keith Kincaid go his first NHL victory as the Devils snapped a 5 game losing streak. There were plenty of fans wearing Martin Brodeur jerseys in the stands. I most vote for #2 as you hear the words and realize what a bitter song it is. Please listen to it and judge for yourself. Bob Shannon was last heard on WCBS-FM in December 2011. For several months Ron Parker or Joe Causi filled in for him on his 10 AM - 3 PM shift. At time he also appeared once a week on WLNG from Eastern Long Island. It was said on the New York Radio Message Board and other places that Bob had health issues. In July 2012 it was unofficially reported that he left the station. 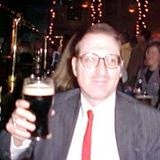 WCBS-FM did not say anything over the air or on their web site about Bob. I wish him all the best on his 66th birthday and respect his privacy. He was very active in protesting the hijacking of WCBS-FM in June 2005. He really appreciated his listeners during his radio broadcasting career. I fondly remember his announcing my son Lee's birth on his show in March 1988. It has been a long time since I have appointed a Facebook Friend of the Day. Michael Judge is one of those people whom I've known electronically for years, but never met him face to face. I don't remember exactly how and when I met him on Facebook, but he and are radio enthusiasts. I think a year or so he wanted to come to the Oldies Meet and Greet, but at the last minute he changed his mind. He is originally from Brooklyn, but for the last two years he has lived in Richmond, Virginia. Michael has been unemployed for a while but today he announced on Facebook and his Leprechuan’s Blog that he is now enrolled in a training program in Little Rock, Arkansas which will eventually lead to a government job by the summer. I certainly wish Michael all the best in his future endeavors. Thankfully, the last time I was unemployed was during the summer of 1982, but I remember the agony of being unemployed back in the 1970s. It is certainly a big thrill to come back to work. 1. The Bob Dylan 30th Anniversary Concert on October 16, 1992. I remember seeing this on Pay Per View and later bought it on DVD. It was the best of both worlds as you can hear covers of Dylan songs and Dylan himself. 2. The Concert for Bangla Desh - August 1971. As far as I know this was the first concert with several superstars that was a fundraiser. I think Dylan's appearance was a surprise as during that time he didn't perform much in concert. 3. The Last Waltz - November 1976. It was supposed to be a farewell concert for The Band, but it wasn't. The group reformed without Robbie Robertson. It is a shame that Levon Helm, Richard Manuel, and Rick Danko passed away. It was a pretty bad week for commuting as you can read on my alternative blog, but thankfully there were no problems today. Since the Knicks are so terrible at 4-20 I will not watch them on TV tonight. I'll spend the rest of the night listening to Bob Radil's 60s 70s show on Rewound Radio. For years I owned the book Top Pop edited by Joel Whitburn that covered all Top 100 hits from 1955-1996. Since the book was chewed up by my using it so much I bought the newest edition covering 1955-2012. It comes in useful when I listen to Bob Radil's show. 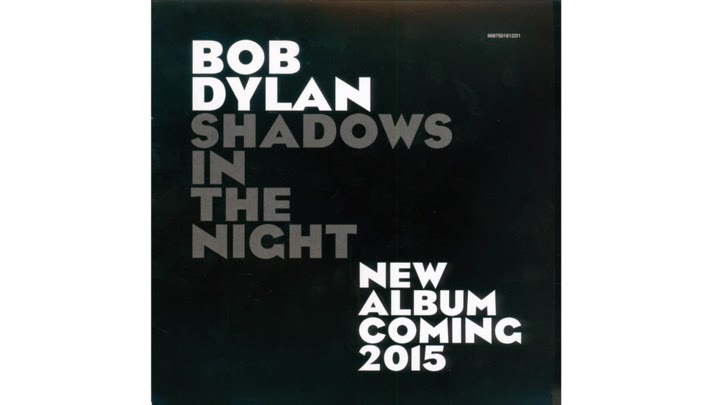 Back in May I remarked in this journal that a new Bob Dylan Cd will be released called Shadows in the Night. The details were just announced today. This will be a CD of Frank Sinatra covers to be released on February 3, 2015. I wish it would be a CD of songs written by Dylan, but it is unique for him to sing Frank Sinatra songs. 2015 will mark the 100th anniversary of Sinatra's birth. Some pompous radio personality who now is heard on WOR loves Sinatra, but hates Dylan. Mr. Pompous made it his business to trash Dylan when he was heard on WABC a few years ago. 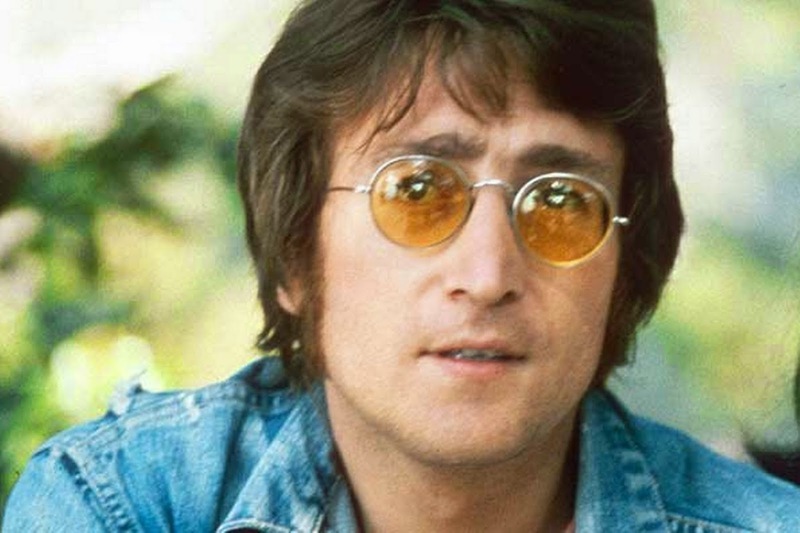 It is more than 1/2 lifetime ago when I woke up that Tuesday morning to find out that John had been killed the night before. I cetainly don't want to repeat things that I have written here before so please see my previous journal entries on John Lennon. His music will never die. The NJIT Mens Basketball has come a long way since the program went into Division I in 2006. They started out by losing their first 51 games. For a few years the team played in the Great Western Conference which eventually disbanded. Today the Highlanders went to the midwest to play the Wolverines of the University of Michigan who are ranked #17 in the nation. In a big upset NJIT won 72-70. This was the first time the Highlanders played a top 25 team. I just hope that NJIT will be admitted to a conference next season. The game was on national TV on the Big Ten Network, but I missed it. It was a rainy day so we decided to take in a movie. I will make sure to watch the next time NJIT is on TV. Every year I take the online test to be try to become a contestant on Jeopardy. I always have wondered exactly what the odds are of becoming chosen to appear on the show. 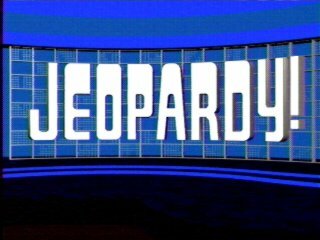 This morning I watched Sports Jeopardy when host Dan Patrick remarked that only 160 out of 30,000 applicants were chosen to appear on the show. I imagine the odds are even worse on regular Jeopardy. I also must presume that very few older people are chosen as contestants. Years ago there was a seniors tournament for the over 50 crowd, but that was dropped. Oh well. I can always dream about it. I went to a professional conference at Baruch College in Manhattan today. It was nice for once to have a short commute. I didn't have to worry about New Jersey Transit delays. My Joel Whitburn Top Pop book which has all the records that made the Top 100 in Billboard was in pretty bad shape. So I ordered another more recent edition for $67 including postage. This edition covers 1955-2012. I am not interested in the more recent years, but it doesn't hurt to have the additional information. Right now I am listening to Bob Radil's 60s 70s show on Rewound Radio. Those stinkin' Knicks were losing by 21 points, but went ahead by one point with 4 seconds to go. The Charlotte Hornets were able to score at the buzzer to win. The Knicks are now 4-17. Tonight Bob Dylan completes his gig at the Beacon Theater after 5 performances. It is also marks the end of the 2014 leg of the Never Ending Tour. Since Bob is now 73 years "Forever Young" he deserves a rest. I'm really hoping that the tour will resume in Spring 2015 and that it will return to the NYC area. Sometime in 2015 he will release Shadows in the Night which will likely be a collection of Frank Sinatra covers. Hoping for a productive 2015 for Bob Dylan. How much do we have to hear about Black Friday, Small Business Saturday, and Cyber Monday? Most people are off from work on the day after Thanksgiving, but when did the hype for that day as a big shopping day begin? Small businesses are hurting these days as the large retailers are "eating them up." Does business on that Saturday increase dramatically? People can shop online 365 days a year, so what is the need for a "Cyber Monday?" Just for the heck of it I bought a book for my Amazon Kindle for $1.99 yesterday. I guess that's the way it is.